Booked this as a way of seeing Kuala Lampur in less time and without wasting any. Klook delivered again, although KL hop on hop off needs some improvement with their kiosk staff and making the 2 routes more efficient and less time consuming. See Kuala Lumpur's best sights and attractions with one pass that lets you visit each one at your own pace. 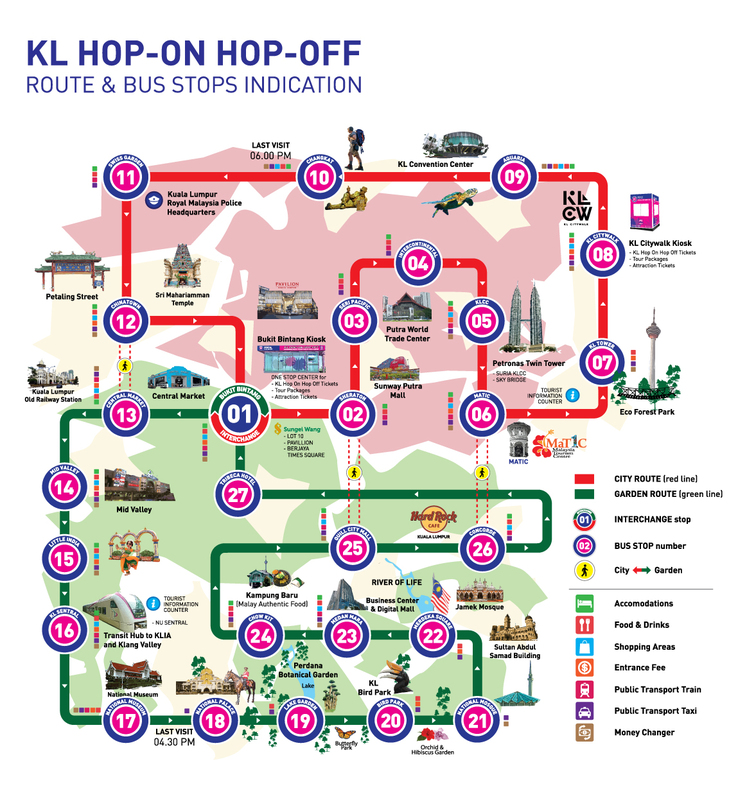 This KL Hop On Hop Off Bus Pass allows you to get on the hop on, hop off bus for 24 or 48 hours, and ride it as it stops at some of the best places to visit in Kuala Lumpur, such as Aquaria, Karyaneka, Chinatown, the dazzling Central Market, Little India, The National Museum, Bird Park and so much more. You get to choose where you want to stop and explore by simply hopping off the bus when you've reached your desired area. And then, after you're done exploring, just hop back onto the next bus that arrives and continue on your sightseeing journey. You can get a pass for one or two days of exploration, so you can make sure you choose a schedule that fits your needs best. It's one of the best ways to get around Kuala Lumpur to see the sights! this hop on and hop off bus saves much time, money and hassle free. where u can go around the city. and to KL's most popular tourist spot. staying on top deck, is so thrilling. even my 2yr old kid enjoyed it. this hop on and hop off bus saves much time, money and hassle free. where u can go around the city. and to KL's most popular tourist spot. staying on top deck, is so thrilling. even my 2yr old kid enjoyed it. One of the must do when you go to KL. You just have to sit and get to see the beautiful views of the City and the Garden. Their booth in Sungei Wang is also easy to find and the crew there are very accomodating. One of the must do when you go to KL. You just have to sit and get to see the beautiful views of the City and the Garden. Their booth in Sungei Wang is also easy to find and the crew there are very accomodating. We really enjoyed our Hop on Hop off experience. I would highly recommend this to my friends and family. It was so affordable yet the best way to tour around KL for 2 days. We were able to visit different tourist and historic spots of KL. Seeing the busy side of the city and the beauty of nature within the city. Thank you Klook. We really enjoyed our Hop on Hop off experience. I would highly recommend this to my friends and family. It was so affordable yet the best way to tour around KL for 2 days. We were able to visit different tourist and historic spots of KL. Seeing the busy side of the city and the beauty of nature within the city. Thank you Klook. It is a good and easy way to get to the places you wanna see. 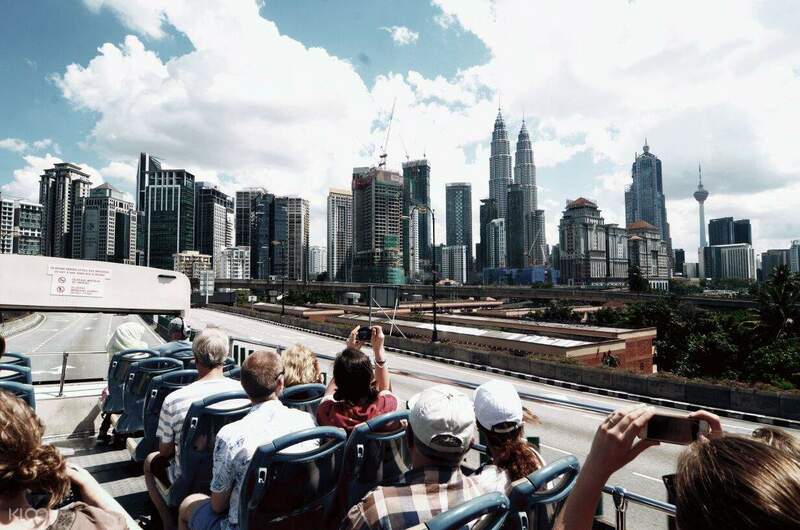 You can see nearly all the important spots in KL just from the bus and for specific attractions you want to visit, you just too off the bus and hop on later on another one. It is a good and easy way to get to the places you wanna see. You can see nearly all the important spots in KL just from the bus and for specific attractions you want to visit, you just too off the bus and hop on later on another one. 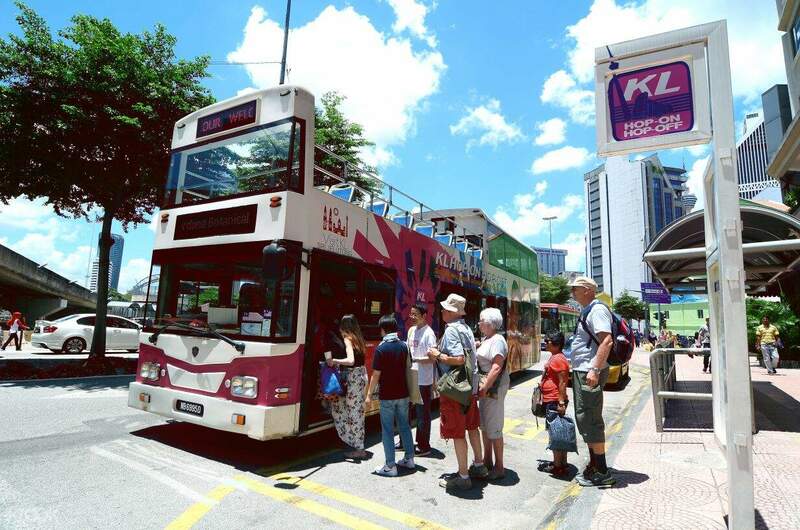 KL Hop on Hop Off BUS is one of the best tourist tools you can have in KL. There are so many cabs and serviced cars trying to entice you around but this is the safest and economical to go around Kuala Lumpur. This is also designed for family to have fun together. Please see our pictures. 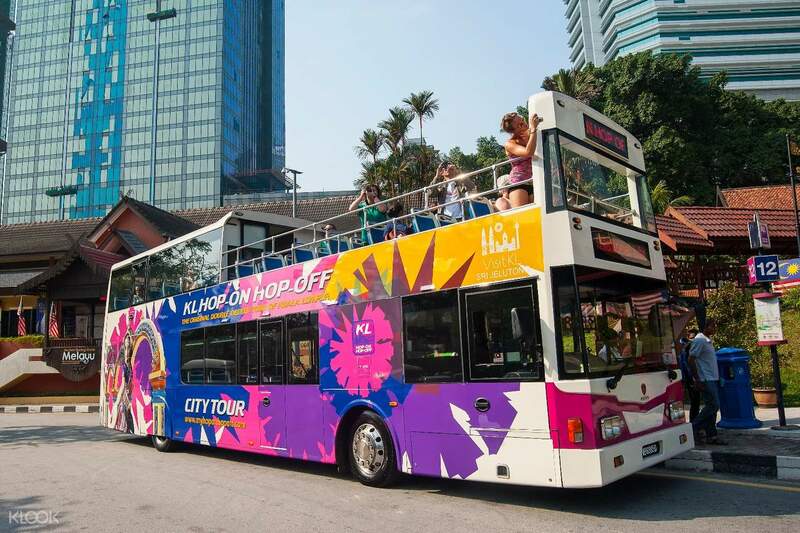 KL Hop on Hop Off BUS is one of the best tourist tools you can have in KL. There are so many cabs and serviced cars trying to entice you around but this is the safest and economical to go around Kuala Lumpur. This is also designed for family to have fun together. Please see our pictures. If you want to explore the whole KL, then this way of transportation is the perfect option for you. The bus will stop to 21 attractions and you can opt to be seated in the 2nd floor of the bus where you are free to take amazing shots of the scenery. I will recommend this to my friends! 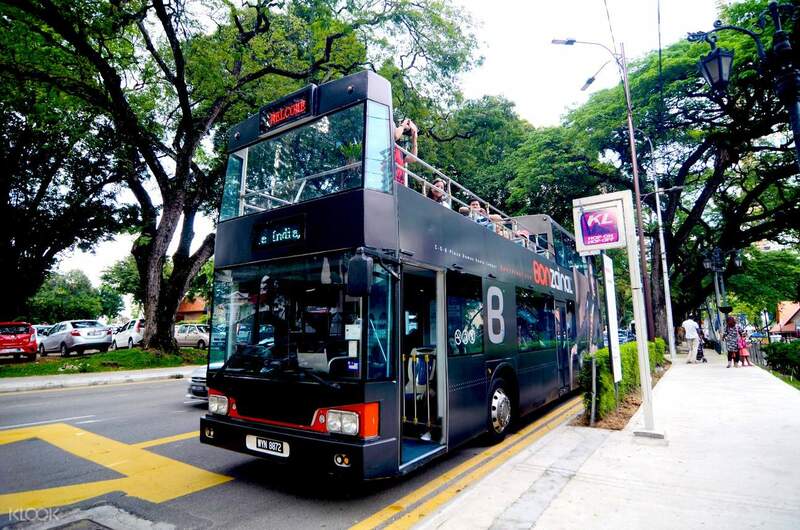 If you want to explore the whole KL, then this way of transportation is the perfect option for you. The bus will stop to 21 attractions and you can opt to be seated in the 2nd floor of the bus where you are free to take amazing shots of the scenery. I will recommend this to my friends! This service is very useful with any tourists that come to Kuala Lumpur in the first time. The bus is on time and comfortable. You can see and enjoy 23 destinations in the KL (in 24h or 48h). I recommend using this service. Thanks for Klook. This service is very useful with any tourists that come to Kuala Lumpur in the first time. The bus is on time and comfortable. You can see and enjoy 23 destinations in the KL (in 24h or 48h). I recommend using this service. Thanks for Klook. We enjoyed this activity as we were able to get to the best places in KL. We got the 24hr pass so we have the whole day. No need to rush, bus will pick up and drop you off until 7pm. Claiming of tix was hassle free too, thanks to Klook. All you need to do was show your voucher and they will give you your ticket. Best stop was #6 (Bukit Bintang) if you like to shop and dine. 🤣 Kiosk was also located there. We enjoyed this activity as we were able to get to the best places in KL. We got the 24hr pass so we have the whole day. No need to rush, bus will pick up and drop you off until 7pm. Claiming of tix was hassle free too, thanks to Klook. All you need to do was show your voucher and they will give you your ticket. Best stop was #6 (Bukit Bintang) if you like to shop and dine. 🤣 Kiosk was also located there.